Would you like to know how to get your customers to market your products for you? 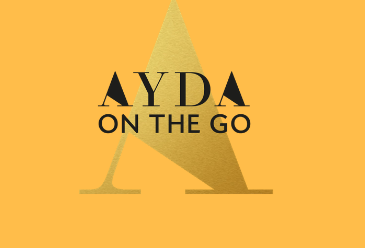 Then you don’t you join our friend Shisha Dublin-Green of AYDA ON THE GO, for her FREE “Supercharge Your Business Webinar” taking place on Thursday, 25th April 2019 at 8pm (BST). Create Your Target Audience – Not everyone is your customer, learn how to target people who will buy from you. You’ll also get a specially designed Supercharge Your Business Workbook and a chance to ask questions during the live Q & A session. 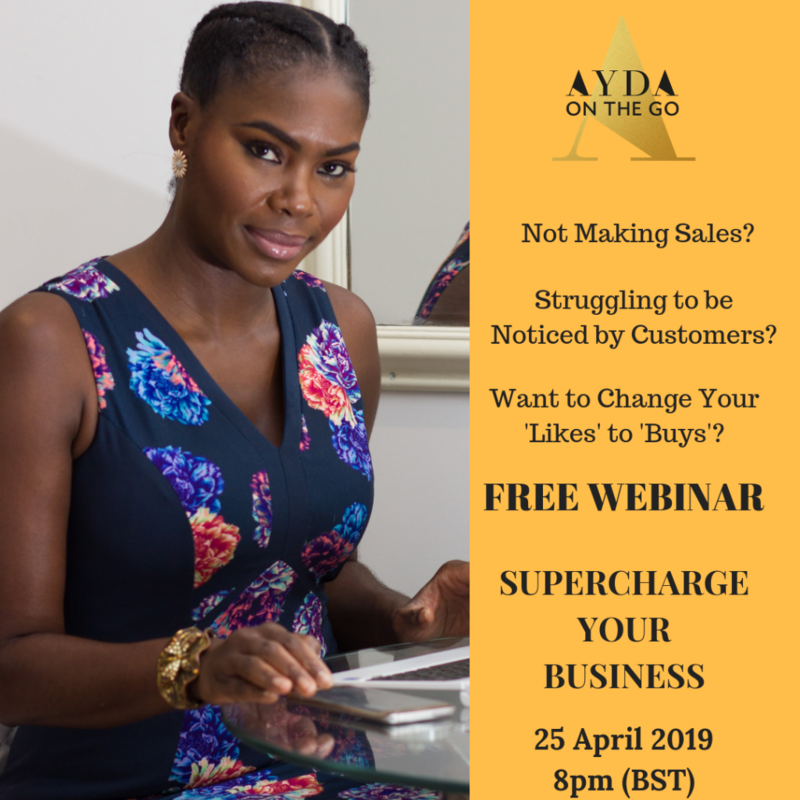 If you are tired of putting all in your business but not getting much out of it and you want your business to be a SUCCESS, then sign up to the FREE webinar today by clicking here.